Sand Bore Cay off of South Caicos. 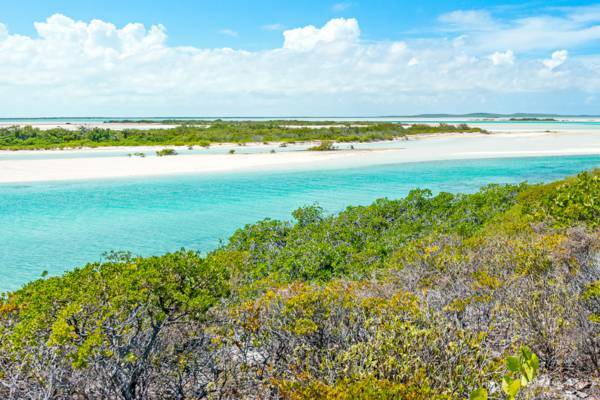 This swampy mangrove wetland island is found off the north end of South Caicos at Plandon Cay Cut. Although consisting of more than 24 acres (10 ha), there’s very little actual solid ground. Silty beach can be found off the entire north and east sides of the cay. This mangrove wetland cay doesn't offer much actual dry ground.